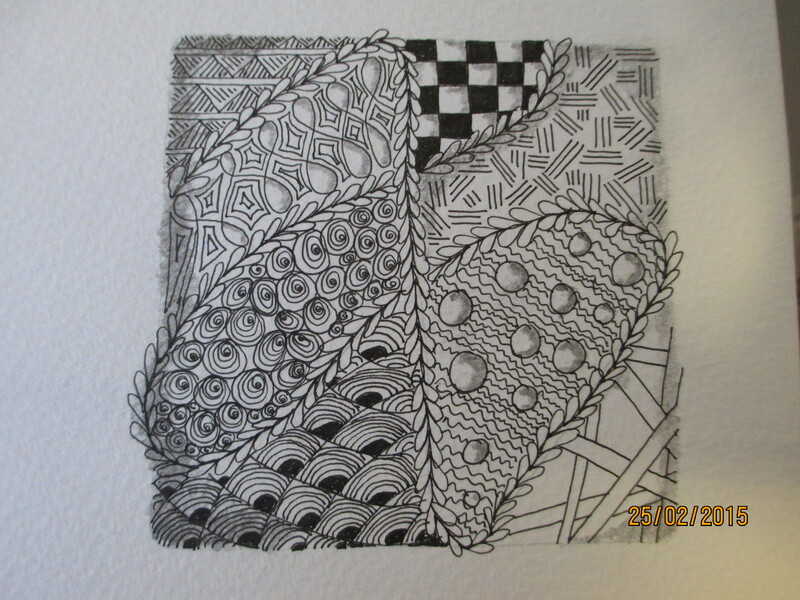 Quite by accident this week I discovered Zentangle. I have been keeping my journal up to date and enjoy making it pretty by including pictures, quotes, pre-printed journal cards and recently, doodles which I have been painting with my watercolours. 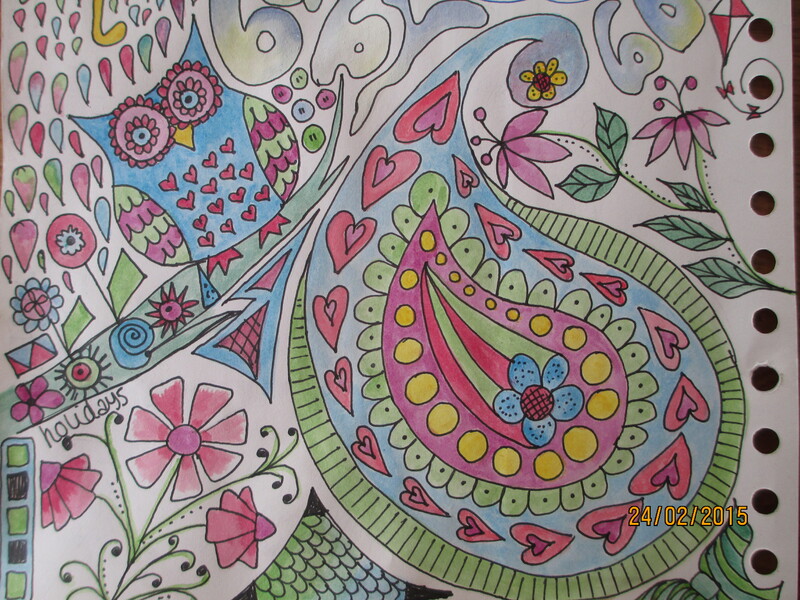 I always enjoyed colouring in pictures as a child and I have clearly not lost that desire to both doodle and colour. 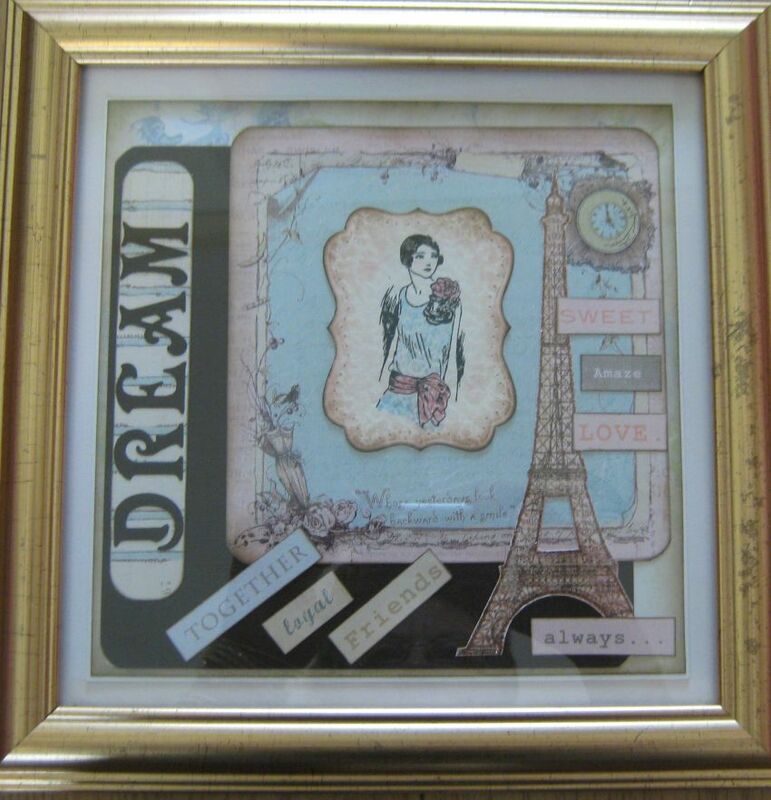 Inspired by designs I have seen on Pinterest I started to search through the pin boards looking for further ideas. 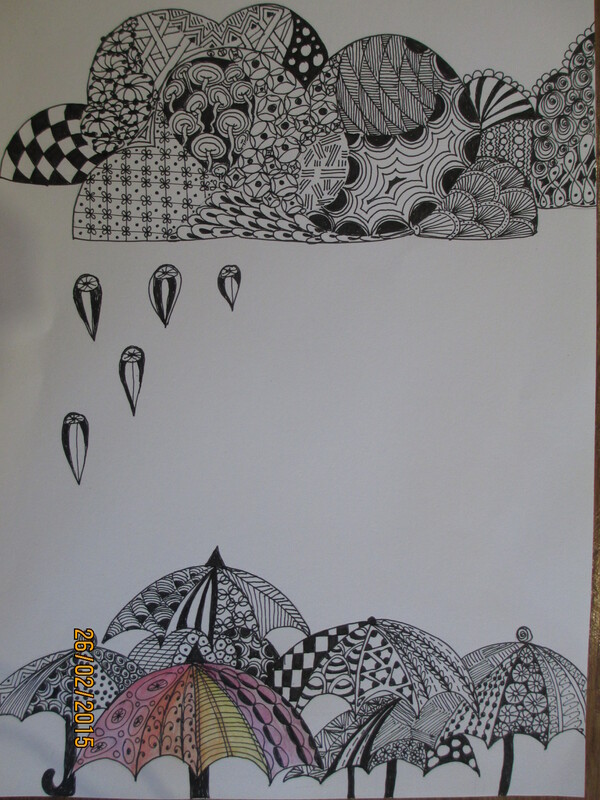 That’s when I came across Zentangle. I can’t believe I haven’t come across this before but am certainly making up for lost time now. The picture below is my second attempt. The different patterns are called Tangles, and the Zen prefix gives you a clue that practising this art using the repetitive lines, circles and shapes is very relaxing. Fundamentally it is an easy art to follow as you need no previous experience and initially you work with a black pen only-no need for colour. The repetitive nature of the exercise encourages focus and concentration as you try to make each line and shape smooth. You literally lose yourself in the drawing and it clears the mind in much the same way as meditation. For me this is a perfect way for me to relax. 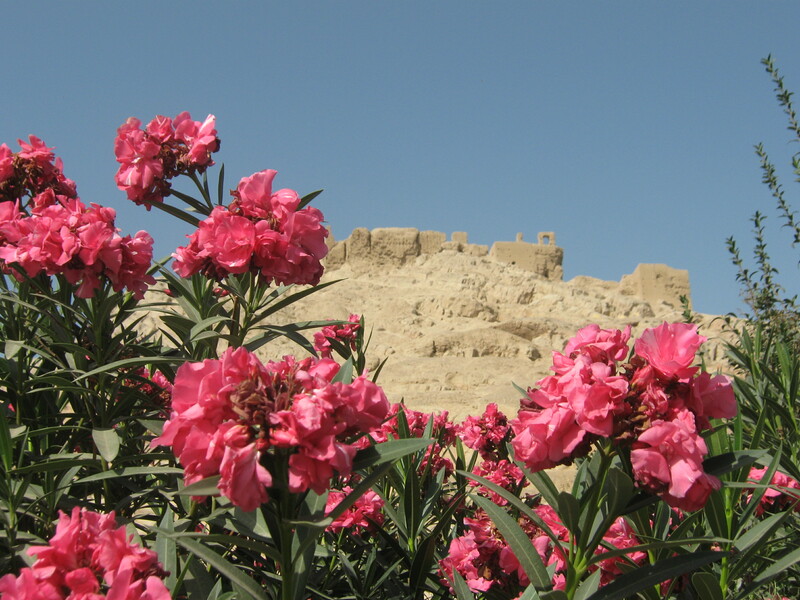 I am hopeless as mindfulness/meditation as I am very impatient and I like “doing” things. Sitting still is agony for me and therefore having something like this to do which not only needs concentration but also produces a pleasing end result is rewarding and soothing. 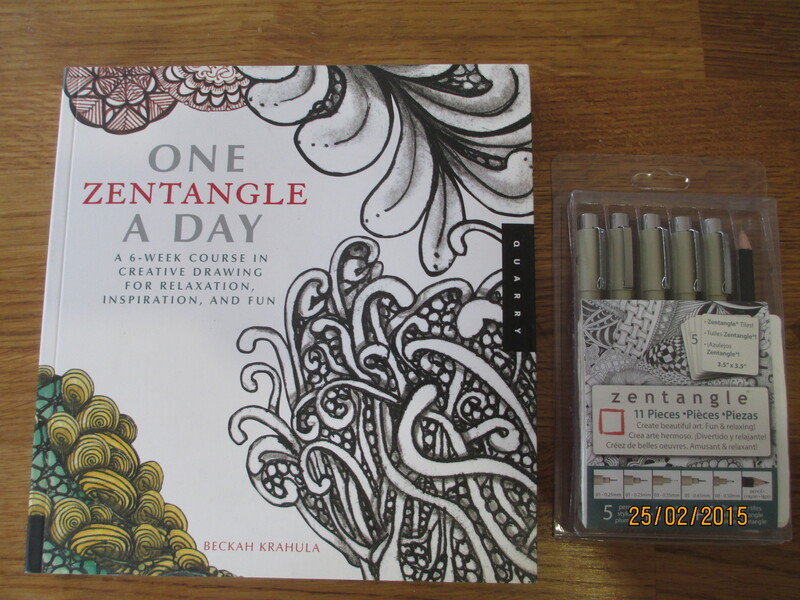 The creators of Zentangle, a meditative art form, are Rick Roberts (Zen) and Maria Thomas (Tangle) and reading about its development and formation is interesting. I am only a beginner at this but already I am hooked. It was my birthday last week and I was able to order a lovey Zentangle book and micron pens from Amazon to help me along my journey. 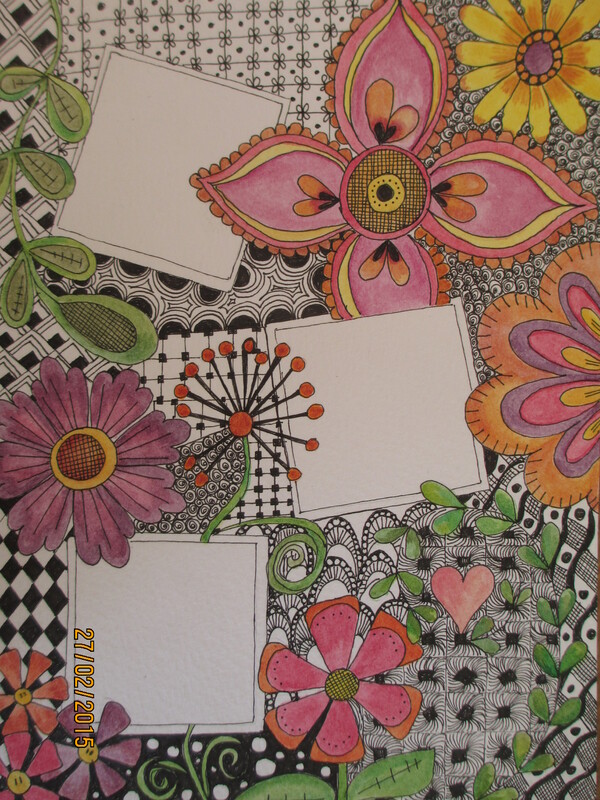 I recommend this for anyone taking up Zentangle although you can find lots of ideas and inspiration on the web. Have a go, and enjoy rekindling your inner child! After a tough week, I wanted nothing more than to sit and play. Last week, playing was a swimming session and a “run” on my treadmill. 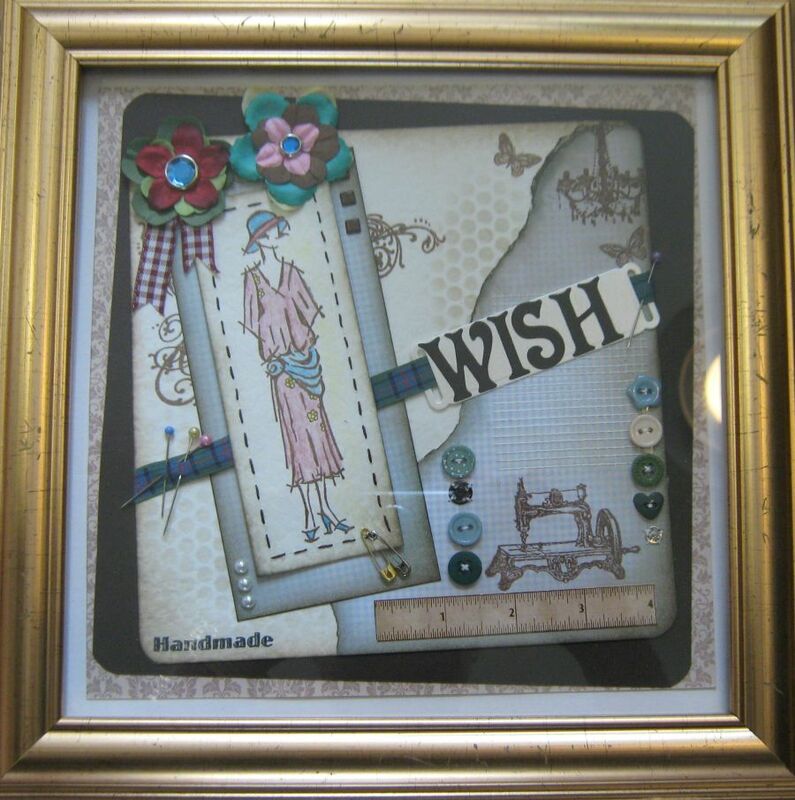 In contrast, this week my idea of playing involves lots of lovely paper, card, flowers, ribbons and bows. 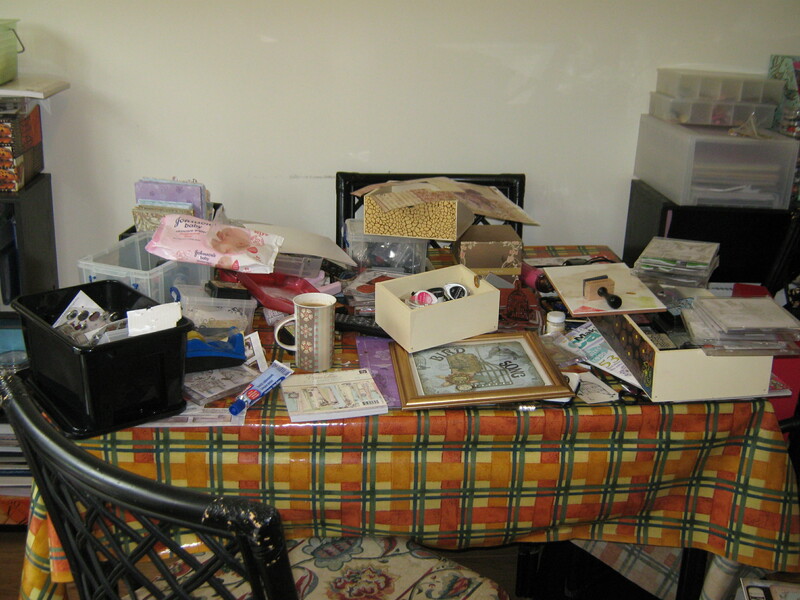 Stamps and buttons, studs, brads and lace all come out of the stash boxes to (hopefully) make something half decent. It is important for me to play and enjoy some me time as it gives me an opportunity to switch off and regroup with the added bonus of an end product as a reward for my labours. There is a saying, “The opposite of play is not work. It’s depression” and I know that if there are days or weeks when I won’t get to play because I am working long days, travelling or staying away from home my mood will deflate very quickly. I now try to pack something in my case so I have something to look forward to after work when stuck in a hotel or faced with a long journey home. I have had very funny looks from my fellow passengers when Decopatching on the train, designing scrapbook pages or knitting scarecrows but I’m used to it and it keeps me sane. Playing today has resulted in three pictures so far. I found three matching square picture frames in the charity shop during the week and these pictures are just the right size. I’m quite pleased with them. Visualisation is a technique that not only helps sports people succeed but if done creatively can help to alleviate stress and encourage relaxation. Over the past few months I have listened to some guided meditations which have been excellent; soothing, relaxing and calming. Others however can really grate on you and are not soothing, relaxing or calming at all. We all have the power to think creatively and to control our thoughts so that they focus on positive outcomes rather than negative ones. You can record your own favourite images to listen to later, first writing them down then reading them out loud, slowly, clearly and softly. If you don’t like the sound of your own voice, ask a friend to record it for you. Here is a visualisation which I came across recently when reading Mike George’s book ” Learn to relax” and which you can enhance with your own images. Once recorded, get comfortable, close your eyes and listen. 1. You are walking along a country lane. The sun beats down on your head and shoulders. To your left is a beautiful forest; to your right, a field into which you turn. Ahead of you is a hot-air balloon ready for flight. 2. You approach the balloon and step into the basket. the balloon begins to rise very slowly. as you look down, you can see a village, a lake, some mountains. 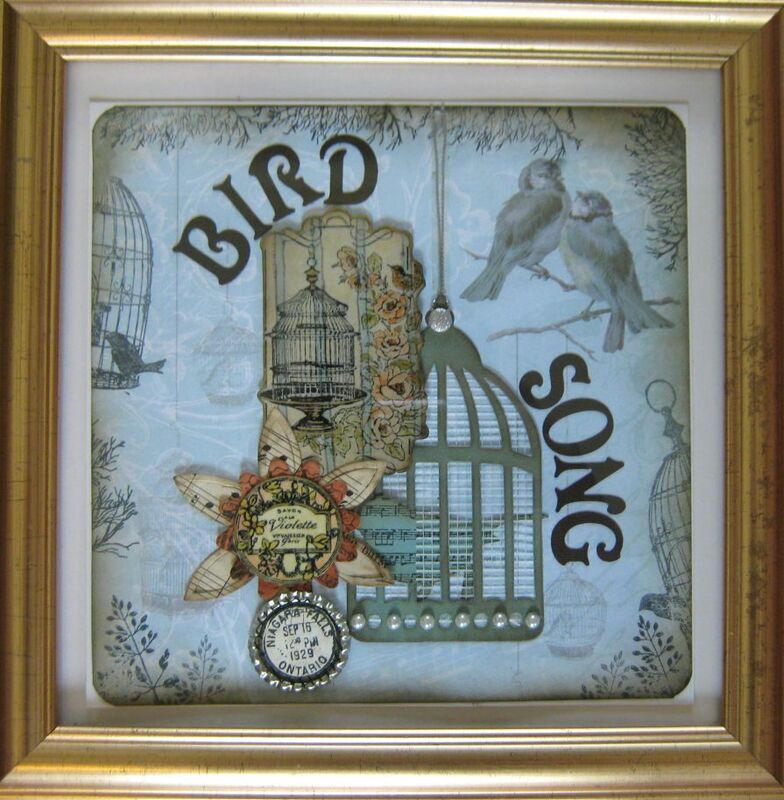 When you look at the sky, you see a bird glide past you. there is absolutely no noise. Silently you rise higher and higher. 3. Beneath you everything becomes a swirl of blue and green. You can see no borders or boundaries, just one world as you have never fully realised before. As you understand this, the balloon begins its descent. 4. The details gradually return into view and the balloon comes to rest in the middle of the field. You step out of the basket, walk down the path through the village to the lake that you could see from the air. the water on the lake is still and calm. Just how you feel yourself.